← ASK FATHER: Does a declaration of nullity mean a marriage never existed? I have a recurring dream about having to build a church. It’s Romanesque and open, uncluttered, especially by pews. My friend Fr. George Rutler is in Crisis. He is talking about pews. He has a few digressions – he wouldn’t be the writer he is without digressions – on the Roman vestment. But his observations about pews are dead on. Everyone should be aware of this perspective. Pews are the climbing ivy of God’s house. My case is that they should be removed. I immediately alienate from this argument anyone whose limited aesthetical perception sees nothing wrong with electric votive lights and bishops wearing miters in colors matching their vestments. [blech] But the problem with pews is worse, for it is not simply a matter of taste. Pews contradict worship. They suburbanize the City of God and put comfort before praise. In 1843, John Coke Fowler, an Anglican barrister, wrote a neglected history of the pew, arguing for its elimination. His reference was not liturgical but social, for his purpose was to abolish the system of rentals that relegated the poor to inferior seats. The “high church” Oxford Movement at that time was a theological development little involved with ceremonial. None of the early Tractarians wore “Romish” vesture. 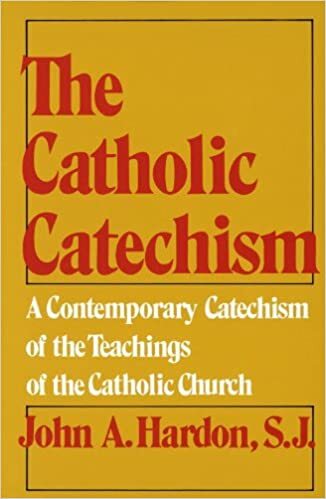 But the consequent Cambridge Camden Society advanced ritualism and in 1854, desiring to be more “Catholic,” it published “Twenty-four Reasons for Getting Rid of Church Pews.” These reasons included sound theological points. Paradoxically, James Renwick who designed St. Patrick’s Cathedral in New York, was an Episcopalian, but he tried to explain to Cardinal McCloskey that pews were Protestant and inappropriate for a Catholic cathedral. He was overruled by the cardinal who installed the pews and rented some of the best ones for up to $2,000. This amount would be about $60,000 today. An engraving of the interior before it was consecrated, when a bazaar was held to raise money, shows how magnificent the space is, and how that perspective is lost in a forest of wooden seats. I confess that a few years ago I restored worn pews in my former church, knowing that there was little time to form minds on the subject. In the few months that the church was empty of the pews, people came to admire the uncluttered proportions. Ascetically, pews stratify the people as passive participants. There actually are churches where ushers, like maître d’s in a cabaret, move down the aisle pew by pew, indicating when the people can go to Communion. [I have railed against this for eons!] Ensconced and regimented in serried ranks, the people are denied the mobility of the sacred assembly and even the sacred dance, which is what the Solemn Mass is—a thing far different from the embarrassing geriatric ballets called “liturgical dancing.” Especially in a busy city parish, people wandering about and lighting candles and casting a curious eye at images, can be distracting, but it is also a healthy sign that people are freed by grace to be at home in the House of God, unlike the passive creature known as a couch potato or, in this instance, a pew potato. Worse than plain wooden pews are those that are upholstered. Goodbye acoustics. And anyone who gives priority to the softness of his seat rather than the sound of song, should humbly ask forgiveness of St. Cecilia who died suffering from more than the lack of a cushion, but was comforted—and eternally so—by good music. Sensibly, seating should be provided for the elderly and physically limited. Other seating should be moveable to permit different kinds of liturgical use, with space for kneeling. Spare us from those pews whose “kneelers” crash to the floor like thunder. If concessions are to be made, pews should be in the form of benches with railed backs, so as not to “arrest” the proportions of the church. In 1982, the Kawaski Heavy Industries Company of Japan designed subway cars for the New York City subway system and had to go back to the drawing board at great expense, because the seats were not wide enough for the average American posterior. There still are a few cars with the original seats in use on the No. 3 line, presumably for commuters with narrower sedentary profiles. I submit this as a reminder that when an indulged culture makes comfort its god, it is worshipping a very fickle idol. And I pass along my unsolicited views to polish my credentials as an earnest curmudgeon, lest they rust. It will disappoint me if my opinions do not irritate people who could not fit into a seat on the No. 3 subway, or who like to lounge in pews in ivy-covered churches. You will want to read it all, over there. Fr. Z kudos, except for the part about the Roman pianeta. Down with pews! ¡Hagan lío! This entry was posted in ¡Hagan lío!, "How To..." - Practical Notes, Fr. Z KUDOS, Hard-Identity Catholicism, Liturgy Science Theatre 3000, Mail from priests. Bookmark the permalink. 105 Responses to Down with pews! Away with them! I agree. Get rid of pews. I attend a Ukranian Greek Catholic church. We have no pews. There are chairs along the wall for those who need to sit. We stand during the entire service, except for the epistle and the sermon. People sit on the floor or on the chairs during the sermon. Standing brings the entire parish together. The kids are free to squirm around on the floor. The entire liturgy is sung, by the priest, choir AND the people. There is much more conscious, active participation in this very TRADITIONAL church than in your average Latin rite parish. I occasionally attend a Latin parish in my town. The people (mostly seniors) like to sit in the back pews, leaving the front half empty. Getting rid of the pews would do this church a world of good. While I appreciate the argument, in the absence of some sort of mechanical support, I would be able to kneel (with difficulty), but would need assistance to rise again. Age and arthritis are realities. I think more parishes need choir stalls, plus vocations to fill them…. Those cushions in pews are the worst. Parishes constantly having to clean them and then sitting in them all squishy like is just a sickening distraction to think of what the cushion absorbed in recent days. Interesting idea. It certainly would help us mothers of young, wiggling things . . . we could sway and walk without feeling like we are interrupting. From birth to 3, there is a 95% chance of having to make a mad dash to the back with an unhappy little person. Sorry to disagree – I like a good solid pew, the more solid the better! My last experience with a chair at Mass resulted in my having to be hauled up from the floor by an altar server, having attempted to get back into my chair only for it to tip over. The ‘kneelers which crash to the floor like thunder’ remind me of those in Westminster Cathedral which I seem to remember somebody describing as sounding like gun-fire going off. I also disagree. Pews have a practical purpose, and women’s shoes are very uncomfortable when standing constantly. I also have visions of children running around freely, and weird liturgical dance with congregational participation. Sorry, no Amen for me either. I must say I disagree with Fr about getting rid of pews. To me, the pews were one of the better developments in liturgical history. I do wish though that the pews weren’t made to hold so many people per row and had more single rows instead (so we don’t have to deal with 30 people trying to climb over those who aren’t going up to Communion). But overall, to me it helps keep people focused. Now, during an especially long sermon, people can sit and listen on a pew rather than trying to keep their legs from giving out beneath them from standing the whole time or from having to sit on the dirty floor in their nice clothes. We really should be focusing more on getting the Tabernacle back to the front of the Church from where ever the “reformers” have hidden it and not wasting time contemplating the necessity of the existence of pews. I grew up in one of those parishes with the ushers going pew by pew to allow people to go up to Communion as if people couldn’t otherwise figure out when to get up and go. Always in the same monotone voice: “Communion…Communion…”. Man, that was annoying!! This is an interesting proposal. I suppose the closest most Roman Rite parishes come to it now (and it isn’t all that close) is the standing during the reading of the Passion on Passion Sunday. With my back and knee problems it sadly progresses near the ending to a “passion of the Kent”. I guess there may be some merit in offering my steadily increasing pain in union with our Lord’s suffering, but I would really rather be able to concentrate on the latter than being consumed by the former. So, no. I don’t think it’s a very good idea – at this time. Maybe when “when we are forced to worship in a catacomb”. Nope. I want a pew. Re: Kawasaki, I think the good Fr. Rutler is forgetting some important facts re: the 1982 Japanese posterior versus the American one. In the Eyeshield 21 anime, much is made of the height of the imaginary senior quarterback at a Catholic-run Japanese private high school, whom the anime declares to be the tallest high school quarterback in Japan. He is all of six feet tall! Re: pews, it’s true that there is something to be said for the milling around mode. Back in the day, women without kneelers mostly adopted the “hunkers kneel” approach, where you just sort of sit on your knees like a Japanese person. This puts a lot less pressure on your knees, because weight is spread. Here’s a picture of a Breton woman showing how it was done. Love it, and he’s completely right! Fixed pews are a fairly recent development. Unfortunately, even old European churches, including cathedrals, that were designed without pews now have fixed pews. As for the homilies, maybe priests should consider making them shorter. Or better. I used to go to St Agnes when Fr. Rutler was preaching on the Seven Last Words, and I and many others stood for all three hours. “In a Connemara Cabin” shows a wide variety of men and women in a wide variety of Catholic Mass-going positions. I also want a pew, although it can be a more simple pew like I’ve seen in Italy and Argentina. More bare bones and (I think) the kneeler stays down all the time. And, in those places, you just go up to receive Communion when you feel like leaving your pew during Communion time. Seatching there for Cambridge Camden Society led me to that, but not yet to “Twenty-four Reasons for Getting Rid of Church Pews” (1854). As a good traditionalist and in agreement with Fr. Z, I disagree with the comments on the Roman chasubles, too. But more on point, if a priest feels very strongly about pews (and their removal would be the solution to the distress they get when they see them in church), why don’t they simply get rid of them when they are pastors? We all know “other priests” get away with removing “other things” in a church with no problem at all! I have to say though that this issue with the pews is a very American thing. I’ve seen pictures of very beautifully carved pews that are NOT fixed to the floor that have a “Catholic” look to them to the point that you would not think you are at a protestant meeting hall. The thing about “pew rentals” would also seem to have been a very American (protestant first, and then Catholic) thing. And if things that bring comfort should be removed from churches, well … there would be more things than just the pews that would need to be removed from Catholic churches. What an excellent and provocative Post you have put up on Pews (and get rid them, etc). I have long thought the same thing, especially with regard to the magnificent edifices such as York Minster, England, which were designed without Pews in mind. To illustrate the point you make well, in your Post, I have put up a Photo of York Minster during their annual cleaning, renovating, etc, of the beautiful floor space in The Minster. During this period of work, ALL PEWS are removed, thus revealing the outstanding Mediaeval floor-space as the original Mediaeval Masons intended it to be seen. Eh, no to removing pews. Pews allow people of varying health and fitness worship as they can. Some elderly people sit throughout the mass. Others stand, but don’t kneel, etc. Even young(ish), reasonably fit people may want to sit during a long sermon or during a period of adoration. Also, the bit about the NYC subway’s is disingenuous. Fit Americans are substantially larger, on average, than fit Japanese people. Genetics plays a far greater role in size differences than some comfort addiction. Talking with my pastor, one day we would like to get rid of the pews in the parish. Interestingly enough, I have that dream, or daydream, fairly often. Its about the third most common, after saying mass and hearing confessions. I give a hearty Amen. Turn the altar around, add an altar rail, put the choir in a loft, take out the pews, etc. This would be a very, very hard sell for most people, however. The youth probably wouldn’t much mind, and the Steubenville Conference goers would probably be some of the best allies on this. I’ve found that once youth actually believe themselves, instead of just having their parent’s faith, they are quite zealous, and actually want to rebel against the culture as soon as they see another option. Those who are a bit older would probably not take it quite as well. Taking out the pews would be almost impossible (given that this is not quite the most pressing issue, it might not be the best thing to emphasize), but if new churches were built replacing the yucky 1970’s and 80’s ones (Gothic for me, sorry Father), then not putting them in at all might be an option. The question of those who physically cannot stand or kneel for long periods of time is a bit difficult. Some seating would definitely be required. Perhaps either movable seating, or some shorter fixed pews along both sides, but with a very large space in between? Or pews farther back with a large open area before the altar rail. I whole-heartedly agree with this! My Byzantine parish has pews, alas, but a Russian Orthodox parish near me does not, and it is fascinating to observe how it works. There are benches, essentially short pews, all along the walls. The elderly, infirm, pregnant or nursing take these. Otherwise, everyone stands – and for a Vigil on Saturday evening, this is at least 2 hours. Those who stand do so far enough away from the benches so that the priest or deacon can make the great incensation of the Church. The Russian Orthodox don’t kneel like Roman Catholics do, but there is a good bit of bowing, and prostrations on weekdays. It is always edifying to see the greatly aged making the prostrations, even if they need assistance standing back up. It helps properly shame me when I get lazy! I think pews aren’t just for comfort. They also bring organization and focus to the congregation. Could you imagine if we got rid of them during the 60s and 70s (and even now…)? People would be tripping over themselves just to “gather” all over the altar more so than they do already. Fr. Rutler is great, but I say keep the pews. They are one of the last vestiges of solemnity many have left. How ‘cultural’ is this among various Eastern Catholics in different places? I’ve seen a Latin Church in Northern Europe which has a monthly Byzantine Liturgy, but don’t know if they move the seating for it. On the other hand, I have seen Orthodox churches in Greece with pews, and a converted mediaeval English parish-style Episcopalian church in the US where the OCA left the pews. Are there rules among various Eastern Catholic churches, or even widespread customs? As a Byzantine Catholic, I couldn’t agree more. There are times during our worship where it is traditional to do a full prostration (on the knees-forehead to the floor). Pews make this almost impossible. Also, we stand most of the time – being confined by rows of pews is very uncomfortable. Now before someone brings up the point – full prostrations are of Christian origin. One more thing the Muslims “borrowed” from us. Sorry but No. Discipline in the reception of Communion and perhaps addressing the fact that people are noisy and disrespectful when others are praying is one thing. Removing the pews so that people can’t sit, that’s a bit going over board. I’m in my early 40’s and have a bad back and suffer from sciatica at times. I don’t experience these ailments all the time but every now and then I do. Thanks but No thanks. If pews were abolished I would have to change my moniker… That aside, I have mixed views about it. I find the arguments for their abolition appealing. But many (including myself) would find it difficult to attend a long Mass without a seat or a support for kneeling. Orthodox churches with pews is a recent development and a Latinization. There has always been some seating for the elderly and infirm, usually along the sides of the nave. The churches with pews are mostly found in the diaspora but as the congregation gets older and young people stop going to church, more seating is needed. Nowadays many Byzantine parishes want to remove the pews, among other Western encroachments. This is popular with the young and recent converts but the older folks have grown attached to Western touches. I do think they’ll have more success with this than in the Latin Church though. We Latins are pretty attached to the pews, as this comments thread shows. And given the dreadful state of the liturgy in many places, the pews are what’s keeping the Mass from completely degenerating into a free-for-all circus. As Fr. Rutler mentions in his article, a good concession would be to have moveable bench pews with rail backs as you see often in Europe. Of course, this would assume the floor is properly built for easily moving these things around. You’ll notice many of these same Churches have no cushion on the altar rail kneeler either – a good reminder that we are first and foremost at the Holy Sacrifice of the Mass, not a community meal. I would not be able to attend Mass without pews. Sorry, but having chairs for “for the elderly and physically limited.” is asking for trouble. Namely, who gets to decide who is limited enough and how is that determined? I don’t look disabled, but I qualify for a Disabled paring permit in my state- wanna guess where I experience the most difficulty using it? If you guessed at churches you’d be correct. Usually, it’s the Usher’s giving me issues, I have been “invited” to leave the handicapped seating because it’s reserved “for the elderly and truly handicapped.” So the ushers know more about my condition that I do, or my dr or even the state/town offices that approve the placards, and feel free to comment, and denigrate me. take out the benches and make it so the only seating is for the elderly and physically limited and I will not make through Mass without having to expose private health-related information each week or whenever some decides they need the seating more. I simply can’t see how this would work, without people who genuinely need the seating being denied it – or harassed to prove they need it. Ugh, ushers as communion minders. My parish suffers from this at three of the four weekend Masses. We of the 6 PM (maybe 10% of the parish) can line up perfectly well, without saying a word, even when sitting spread out all over the place. Why do the other Masses–which draw many, many more people–need ushers to cue them? On the pews, I will…disagree vehemently. Although I have half a mind to start putting felt dots on our kneelers a few pews at a time every Sunday. Put a silencer on the gun, as it were. It’s not at all hard to put them up and down quietly. People just don’t bother doing it. Seriously, priests get to walk around during Mass, lean on pulpits (or, worse, altars), and never have to kneel (pace a genuflection or two). No wonder they are fine with getting ridding of pews and, obviously, kneelers. They don’t have to stand in place for 45 minutes or an hour, let alone keep track of kids. I have two answers to this concern. First, in many churches WITH PEWS, the Mass already has degenerated into a circus, with hordes of eucharistic ministers flapping around the altar. Removal of pews will have no effect on that. Second, the iconostasis is an effective anti-mobbing measure that should be considered in every parish. I prefer the ornate, floor-to-ceiling Russian variety! Afraid I have to disagree with you and Fr. R. on the pews. The practical difficulties without them would be a nightmare in a big, modern parish. However, I agree with him on the vestments. We never had them in our parish back in the pre-Vatican II ’50’s. Even as a child I hated those “Roman” style vestments I’d see in the pictures in my old St. Joseph Missal or in old movies. Lobster bibs, sandwich board signs (“Eat at Joe’s”) indeed! What they reminded me of is too indecent to describe here. Fr. Rutler and St. Charles Borromeo are right on that one! With seven kids to corral, I come down on the side of pews. Yes, occasionally you may have to go to the back to sway with a baby. But if you’ve ever had to stand for an entire Mass holding a sleeping toddler due to a lack of seating, you know what murder that is on your back. Also, would we be standing in order of height? At under 5’4″, I don’t see anything but backs of the people ahead of me when we are standing. When we sit, I can see the mouth of the priest giving the homily. That helps make up for our bad acoustics. I understand that pews were a fairly recent innovation. I’d put them right up there with indoor plumbing and air conditioning in the “for keeps” department. Re: the ushers going from row to row at Communion time, I don’t know why this is such an issue. No one is making everybody get up. In our church, there are always a few people who don’t go forward. They stand up and move aside so others can leave the pew, and then resume their seats. Are they sinners? Catechumens? Protestant visitors? Who cares? No one thinks anything of it. Also, in our church, people in the two side sections of pews go forward starting with the last row, while the centre section goes from the first row back, for reasons of traffic flow as there isn’t a lot of space. If I am in a side section kneeling and looking forward, I appreciate the gentle tap on the shoulder as the usher lets me know that the people behind me have already gone forward. It’s better than being distracted by having to look around to see how far they have got. And should I not wish to go up, a brief whisper or gesture is all that’s needed. Forgive my having fun here, but, if we get rid of pews, will folks will start bringing lawn chairs and beach blankets? Can you imagine what things would like in Wisconsin? GB Packer fold-out seats with beer pouches. Could cheese-heads be far behind, or No. 1 foamy fingers? Maybe the Mothers’ Club could market parish collapsibles? … Okay, snarky over. Your patience much appreciated. No amen here. No pews = no kneeling at the consecration for our badly catechize do brethren (Cf. any Pew or CARA study from the past 20 years). And besides, you can always wonder into any Jesuit college chapel/Church if you want the pew-less experience — it ain’t pretty! Lovin’ it, Dr. Peters. And I am with you on noting that priests in the sanctuary don’t have to stand in place and have a pulpit and even an altar to lean on or hold onto when genuflecting. Maybe we should remove the sanctuary furniture, too? This seems a minor issue to me, although I understand the motive of restoring the true impact of architecture conceived without pews. The great European cathedrals are definitely much diminished even when chairs are deployed. But our American parish churches, alas, are not so designed. I would much rather see the effort put into restoring main altars with tabernacles, getting rid of the table altars, and bringing back altar rails. Would the presider’s chair stay or also be taken away? A parish near us is already half way there despite having pews. One of the ushers wears sports jersey’s at almost every Mass. On big game days, half the parish does. I’m half afraid on some Sunday when circumstances lead me there again, I will see the priest wearing one. On at least one occasion he added an intercession for the home team. I’m in the No Pews group. It is an excellent example of what really happens in a Church with no pews. It is a Russian Orthodox Divine Liturgy “sung according to recomposed 17th century manuscripts.” It was filmed at St. Isaac’s Cathedral in St. Petersburg on 14 July 2012, and the celebrant is a bishop. The liturgy and the video are 3 hours long, and you get to see a lot of the cathedral – distance shots of the interior, overhead shots, shots of the ceiling, etc. One of the first things I noticed when I watched the video is the cathedral has no pews. You also see many elderly people standing in the congregation. If you watch the areas along the walls during the distance shots, you can see some people venerating icons and doing prostrations. In distance shots filmed from the sanctuary, you can see large numbers of people milling around toward the back of the cathedral. Even with all of this activity going on at the peripheries during the liturgy, it does not seem to distract from the liturgy. Also, there is no noise I can detect coming from the crowd. Everyone is well behaved (and fully clothed, and most of the women have their heads covered, etc.). So, really, the key seems to be that as long as the people – and their children – behave in a civilized manner, pews aren’t necessary. Hopefully no one thinks anything of it. An individual feeling the shame of sin never knows, and the devil is good at making them suspect everyone is watching and will notice, especially their closest friends. I’m in favor of keeping pews in most cases, but the ushers regulating admission to Communion serve no purpose. They should be retired from marshalling the Communion procession and instead be issued liturgical airsoft guns which they could use to remind those who slam the kneelers down or up of the solemnity of the liturgy and their neighbors’ desires not to be distracted by echoing bangs of kneelers hitting their stops. They could also discourage people from getting carried away with the sign of peace. That reminds me vividly of the one Byzantine Rite Mass I’ve been to so far. It may have been longer because there was an ordination to the diaconate, but spending most of 2 hours standing was a long time! In contrast, even the elderly bishop seemed fine since he had plenty of moving around the altar and processing around to keep the circulation in his legs going. As much as I used to like pews, they should be recognized as an innovation of the protestant heretics. Then there’s the practical operation… Especially at the novus ordo, there’s a horribly poorly-synchronized clacking especially prominent in the Novus Ordo and then the kneeler chattering when it’s time to say the Our Father (to go with the horribly poorly-synchronized page flipping – which makes me ponder on why the liturgy needs to be in the vernacular if people are still going to read from books). At least in the TLM, you stay kneeling the whole time but people are also a lot more considerate about not just throwing the kneeler up and down like they do for the Ordinary Form. Indeed, get rid of the pews. Restore proper Catholic worship of the Almighty! To remove pews would, I think, pretty effectively reduce the number of seniors showing up for Mass. They just could not stand for that long, and personally, I can see those days approaching as well. Standing for long periods of time is now exhausting to the legs. I think “liturgical dancing” would happen out of necessity. Chairs would be a disaster, the noise, the clattering, the lack of stability leading to problems especially for older folks. The protestants got this one right. Eliminating pews is the logical end to eliminating row-by-row distribution of Holy Communion. For any reasonably-well-attended Sunday Mass, I have yet to see anyone suggest a more sensible way with pews, maintaining decorum (which has value when we are talking about approaching Jesus) and not having people climbing all over one another, and not simply discouraging everyone (including the properly disposed) from receiving. So now we have it out in the open– the pews have to go. However, for what its worth, even though I have attended daily and Sunday Mass probably at between 950 and 1000 churches over the past eighteen years, one thing I have not seen is a church without seats of any kind as far as I can recall. Plenty had folding chairs, plenty had stackable chairs, but nowhere were people asked to stand for an entire Mass. Without pews, kneeling also becomes problematical for a larger segment of the population, myself included, although I am still not quite at the point where I simply cannot do it without a kneeler. Here I add that it isn’t just a matter of comfort– it can be a matter of stability. One with bad knees may not have the stability to kneel without some sort of stabilizing prop. Let the Latinists, who kneel, keep them and let the Eastern Rites do as they please. Andia makes an excellent point- who decides who gets the limited number of seats? Looking at the comments, I’d say most people read the headline and not the article. It is specifically stated that previsioms would be made for the elderly and infirm, and in Eastern Rite churches or even small backwater European churches I have attended (where there isn’t fixed seating) there are always seats for people who need them. The thing that always amazes me is when our rather sleepy clergy here does try to do something, it’s shot down because everybody in the parish screams that they’re too old, too crippled, too whatever to walk more than three inches from the parking area, and if they can drag themselves across the threshold of the church, they can’t be expected to kneel, stand up, sit down, kneel again, etc. The priests should call them to account on this, but they’re too scared to do so. Lazy clergy is one half of the problem; lazy laity is the other. I’m feeling very lucky that I haven’t experienced the usher-policed Communion line since one or two Midnight Masses in the early 70s. Yet we all manage to get ourselves to Communion without a problem. No traffic jams, no forcing people who don’t want to receive to go up, nothing like that at all. Each parish I’ve been in since then, and they’ve been numerous since we travel quite a bit, seems to do a row by row without problem. Some people in the side pews might cut through the center pews to reach the center aisle but I haven’t seen anyone object to that since we all manage to receive in good time. Can’t agree with pulling out the pews. However, I find there to be truth in the argument. These past 12 years, I have found myself many times out of my pew with a little one, visiting saint statues and slowly walking past the stations of the cross. At first I was mortified, but I think there have been many good moments, explaining quietly about a saint or having a child ask me to take them over to Jesus (St Anthony holding baby Jesus). They have experienced some visual richness and interactivity which the older ones don’t get being stuck in their seats. The two churches nearest to where I live have pews but no kneelers. The floors are carpeted entirely and one kneels on the carpet. I don’t kneel at all. I have problems with arthritis in both my knees and, as someone else has said above, I have a “disabled” notice which I display in my car when parking it. I certainly need to have something to sit on because, although I can stand, I cannot cope with standing for a long period of time. I am quite happy with the arrangement which there is in my local churches. As far as the loudness of the kneelers–guys, this is easily correctible. Teach people not to bang them down! My teachers in grade school did an excellent job at getting this through our tiny heads. I don’t mind people going up row by row in an orderly fashion to receive Communion – it helps me find my way back correctly to my pew. Otherwise I fear I might get lost! Those who think seniors need pews should visit an Orthodox Church and watch all the babushkas making the rounds and kissing icons. Also, pew less churches are great for rug rats. Some pewless churches even provide rugs for kneeling during Lent. Latin churches didn’t have pews until after the Prtestant reformation. Lovely examples! – especially the experienced Breton woman dealing with the size and inflexibility of wooden shoes. Some kneelers seem to have hair-triggers, and longshanks can inadvertently fire off the ones in the row behind, even when they don’t. Thank you for a saddening and sobering contribution. What a lot of cultural changes would be likely to have to accompany the proper provision of seating in any transition to large-scale seating removal! I am not sure how pewless churches are good for young children. Yes, if your baby is fussy and you need to walk around to sooth them, then no pews could seem liberating. Until the baby falls asleep on you, and suddenly you have 20 pounds of dead weight hanging off your shoulder and you are stuck standing. Without pews, my children would probably end up playing tag, trying to crawl up ladies skirts, and otherwise being disruptive. With pews when the adults are kneeling, the children can stand on the kneelers and see what is going on, or they can sit on the aisle and see, when everyone is standing they can’t see anything. I just don’t see how “movable” seating is an answer, as chairs or benches are often unstable. There is an awful church in an “activity center” right next to my inlaws. We go there when we have no other option. The chairs are indeed movable. But they are unstable, my husband is a big man and feels like he will break them (he is 6feet 5 inches tall), there is no kneeling to be seen, by anyone, and Mass is some of the most irreverent I have been to (in the last 15 years). I associate churches with removable seating as being unrelentingly of a liberal, experimental bent. The ones I have been in have connecting chairs that could have kneelers attached to the back (my church has some of these in the adoration chapel) but they have been removed. The result? No one kneels ever at any point of the Mass. Ever. Evertone either stands or sits. I understand the complaints from a time when pew were new to Catholic worship, but given the current state of the Church in the Western world, I, too, can easily see people bringing their own “lawn chair” seating. And picnic blankets for their kids (8 and under) to sit on and play while they have a snack. I wish I were kidding. But from my observations, when there are no pews with built in kneelers, few pray before mass, and instead use the time as a social hour, chatting in the sanctuary like they’re at a picnic. For all that I understand the merits of Fr Rutler’s comments, I will reluctantly declare that I think the pews need to stay, at least for the time being. Honestly, the first thing to come to mind was Dr Peters’ joking comment about beach blankets. I don’t think that’s a joke! I think that’s the first thing that would happen within a few weeks! In this nation, especially, where we have such a low tolerance for difficulty and order, I think the lack of pews would only reinforce an atmosphere that in far too many places is already highly prone to being overly casual. As an aside, someone mentioned the Steubenville events and implied lack of seating. I recall attending various “chapel” events during my Boy Scouting career; I never precisely minded a lack of organization much because we typically were standing in someone’s cow pasture somewhere and lacked permanent facilities. I can’t say that I would’ve encouraged such for a permanent arrangement though. I also recall an explicitly Catholic youth event in my diocese; I hated the Mass because they provided no seating at all. I felt it VERY uncomfortable to be sitting on the wood floor yet AGAIN. I think the idea of providing seating for the elderly and infirm also problematic. Here again, left to our own devices, I see most people seeking a chance to sit down, whether old or infirm…or not. I, for one, find that I rarely kneel straight up during the Consecration; I almost always lean on the seat of the pew a little. I’m not all that old yet, but I’m still not as vigorous as I was at 20. Besides, if you placed benches along the sides, those who set down would not see anything unless the congregation agreed to sit on the floor or kneel. …And then there’s the problem of what we do with all our missals, choir folders, and whatnots. When we don’t have all our choirs singing, we often use the pew behind or beside us to set things on. When we have the loft full, we have almost no room to place things, except perhaps underneath the pews. I won’t say it can’t be done, but I think a parish would need to place a great deal of thought into making this idea work, then taking some time to actually put all the conflicting ideas into place. On the whole, I think it best that we leave the pews there, though I would prefer to eliminate the padding. It’s MUCH easier for us to make ourselves heard from the loft if the music isn’t “sucked up” by the first five or six rows of seat cushions…. At my OCA parish, we have chairs. They were once against the wall, but practical concerns (for incensing, homily, etc) won the day. That said, they’re only generally used for the homily, or announcements. Obviously the elderly use them when they feel they need to. This actually produces an idiosyncratic phenomenon where people wander around the church, venerating icons and lighting ad libitum. It is my understanding that, for the EF High Mass anyway, kneelers aren’t really needed except for the consecration. I’ve heard that High Mass on the European continent has less kneeling than in the US. This is to say nothing of the NO, where kneeling is sporadic, and where the entire liturgy is what, an hour long? A moderate approach would be to have pews in the transepts, for the elderly or infirm. Young people should be taught to give up seats for those needing them. Addtionally, it might solve the tardiness problem. 1 (a). Install short side pews all along either side of the church, for the elderly, disabled, pregnant, et al. Anyone who questions the motive(s) of those who are sitting need to mind their own business, or, to put it more charitably, need to ascribe the most charitable motive to them. 1(b). Unless your church is packed for every Holy Mass, there ought to be plenty of room for everyone who needs to sit in the scenario described in 1(a). 2. If pews are just simply not going to disappear, then bring back, as an integral part of the “reform of the reform”, the postures during Low Mass in the EF: kneeling for the vast majority of Holy Mass. This goes a long way toward eliminating the crashing kneelers, as they need to be down for most of the time. 3. To eliminate the crashing kneelers, (a) put dampers on them; (b) put the pews far enough apart so that when the longest-legged people kneel down, they don’t bang the kneeler behind them down; (c) teach people to put kneelers down behind long-legged people in front of them; (d) put enough distance between the seat and the kneeler — when it’s down — so that people can walk in between them without cracking their ankles on the kneelers or walking half on the floor and half on the kneeler — that makes the need for raising and lowering the kneeler all the way through Holy Mass disappear; (e) install kneelers that can be raised only by the people who clean, so that the congregation can’t bang them down; (f) if (e) is impractical/impossible, then train your people to leave the kneeler down all through Holy Mass in order to avoid all the noise it makes when it gets put up and then banged down again. It’s a terrible vexation to me when, upon arising for the Pater noster, the pews get banged up, and then, a couple of minutes later, they get banged down again for (or after) the Domine, non sum dignus, and then a little while after that, they get banged up again by people going to receive Holy Communion, and then they get banged down again afterwards, and then they get banged up again for the post-Communion prayer . . . . it makes my teeth want to crawl away to a dark place and curl up!! 4. If the majority of pews do not disappear, bring back the communion rail (well, bring it back, no matter what happens to the pews!!) so that there is a clear line of demarcation between the nave and the altar. 5. Barring all the above, how about fostering an attitude of reverence and attentiveness at Holy Mass? APX, there are women’s shoes that are comfortable to stand in. I have stood for three or four hours at Pascha/Easter, etc., in women’s shoes, with no discomfort. Down with pews, I say. Pews were not ordered by the Church, but neither were they forbidden. They just slowly appeared almost everywhere. Father Anselm of S Augustine’s of course could not stay behind when Father Francis of S John the Baptist’s down the road installed pews in his church. Therefore, Father Anselm set his people to work, and they made the beautiful carved pews that you can still see in some churches in Europe. And hence it should be clear for everyone that pews are a perfect example of organic development! No. Respectfully, but loudly: no. Modern man, except perhaps those employed in shops, is unaccustomed to standing for any significant amount of time. Let alone kneeling without support. The physical discomforts themselves would be a huge distraction. People would indeed bring folding chairs. Not to mention the fact that in many parishes, the majority of attendants would need chairs instead of pews. Or the fact that many children would be much harder to control without the physical restraints of pews (a parent on either side of the pew, kids in between, and the only thing you need to worry about is them crawling over or under). Need I go on? Yes, cause besides the distraction of the discomfort, there wouls aldo be considerable pressure on the priest to celebrste Mass quickly, to have a 2 minute homily, to dispense with singing, etc. Do we really think Mass would be more reverent that way? Ushers, on the other hand… that entire concept merits 2 words only: delenda est. My brain and heart agree with the estimable author…. however, my veteran cartilageless knees and collapsed arches would disagree. As much as I like to say it ain’t the years, it’s the mileage… it’s the years. Eventually, barring unforseen catastrophe, the years catch up to everyone. And has been stated previously, I don’t appear to be in as bad shape as I actually am. I have refrained from a handicapped placard for my vehicle, primarily because I intend to fight the decline of my body every step of the way…. you might call it foolish pride, as my wife does. I don’t get the “modern man” is unaccustomed to standing – more like “lazy modern Americans” wont’t stand. People stand for hours at concerts, sporting events, in lines, etc. – we can’t stand during a liturgy in the presence of almighty God? And this completely ignores Eastern Christians who certainly do, and for much longer than a Roman Mass in either Form. I’ve had multiple knee surgeries, so I understand that it is uncomfortable for some to kneel on the floor instead of a kneeler, though in my case I find the floor MUCH more comfortable. But that’s what the seating is for – the infirm. In any event, if pews were removed, it would be reasonable to bring a small pillow to kneel on – the Russian Old Believers have a small cloth or cushion called a podruchnik that they place in front of them on the floor to keep their hands and forehead clean during their numerous prostrations. Such a thing could just be part of one’s “Mass kit” if it is needed. Pews have contributed to Mass being something the laity watch as spectators; they certainly contributed to the reduction in ritual movement in the Latin rite. Though they first appeared here and there as early as the 13th century, they were extremely popular among Protestants, for whom all the ritual gestures proper to Catholicism were superstitious, and the pews helped reinforce the idea that Church was for passive listening to the Bible and the sermon. It is curious that pews became so popular among Catholics during the Counter-Reformation, when everything else distinctively Catholic was so emphasized. Perhaps another unfortunate fruit of the “Low Mass” mentality that dominated most of the second millennium. I’ve never heard of this before, although I wondered why they had no pews in the children’s book, “The Weight of a Mass.” And I admired the austerity of the awful wicker chairs at Chartres Cathedral. What did the mothers who were nursing do with their other children? What about a family who has 7 children 7 and younger? I know some people who after they return home from Sunday Mass with pews are wiped right out and sleep for the rest of the day. During my last pregnancy it was all I could do to just endure sitting in the pew with my family, I know other mothers who just stay home. I don’t know. I think we would have to have a church full of austere Franciscans before that level of self sacrifice would be embraced willingly. That said this post has inspired me. I was going to look for a couple of old pews as a sort of austere version of a couch for in my living room and I think I’ll just do without. Maybe in twenty years or so you’ll be able to sell the idea to my children. It would seem to be a little foolish to use the Eastern practices as comparison. First, because doing so would not really set a limit where the comparisons would end, or how far they would go. Why stop with pews? How about the fact that they do not tend to have Mass EVERY DAY? And some many other differences they have, which to us, would normally seem *very* strange. Second, because the Church never really demanded that everyone remain standing. Before pews, people used to use cushions, so obviously, they did not stand on these cushions. Third, once the Church did not oppose the use of pews (in whatever form), the Church (as always happens when She takes something from somebody else) accepted it and, in a natural day, allowed for a Catholic development for the use of pews. Calling for doing away with pews will simply incite others to call for doing away with churches so that we may go back to places that resemble buildings/spaced before the advent of churches. It may incite others to call for doing away with vestments in the hopes to go back to simpler forms of it, etc. What about music? How far back should we go in order to ask for a return to what was in place before Gregorian chant? Soon enough, not only would the comfortability of the laity be touched upon, but that of the clergy as well … and not only things that would affect the faithful, but things that would affect priests and Bishops … then, we shall see who will write an article about what should be given up that will affect the every day things of priests … What about going back to before priest received a salary? Or Bishops? Did people always give a donation for Mass intentions? Doesn’t give a bad impression to non-Catholics that people are “paying” for Mass? Etc. People who go to Mass daily are probably not the ones commenting on this blog or over at Crisis. For a week or so we didn’t have pews. They were being replaced. People liked but their reasons are not what you expect. Now we can really stretch out the liturgical dance. Now we can have meetings in here. Just think of the rock concerts the teens can even have a dance. Some developments are good. Pews were one such, in my humble estimation. There is a whiff of antiquarianism in arguing for the abolition of pews. And while I understand that some Eastern rite churches do not have them, we’re not in a contest to see which ritual church can be more primitive. Moreover, the Eastern rites, by and large, have no where near the amount of kneeling that the Roman liturgy requires. No, this strikes me as something of an effete concern, very clerical and detached from the reality of worship in the Roman rite. Catholic churches in England in the late 19th century derived a lot of income from ‘pew rents’ which reflected the practice of our separated Anglican brethren. Nowadays such class (and indeed income) distinctions are frowned upon. I don’t think we ever had the squire and his family occupying an enclosure apart, complete with fireplace. If the parson preached for too long, the squire would rattle the poker against the grate as a signal for him to shut up. Which is fair enough, since the squire had appointed the parson to his benefice in the first place. I presume that I am far from alone in being very impressed that one priest’s mere articulation of his humble proposal for church interior and our sacred worship together garners nearly one hundred comments on the subject in only about 24 hours time! Seriously, get real. Maise Ward wrote a book that was critical of the resourcement idea that we should go back to the beginnings of the Church, comparing it to a thirty-years old wanting to go back to being an adolescent. Yeah, yeah, yeah, cry me a river. Flush toilets were invented by Protestants; the air conditioner was invented by a Jew; the PA system by Protestants. Would you get rid of all of these because they weren’t invented by Catholics and used in the early Churches? Oh, how about light bulbs? Edison was a deist. Central heating was invented by a likely Protestant, but maybe Catholic (Franz San Galli was born in Pomerania as a Pole, but the majority of the population was German Protestant). I mean, if you want that authentic early Church experience, by all means, mill around in an amphitheater with no heat, no light, no air conditioning, no lavatory, and no chairs (you think early Churches had chairs!?). Oh, and you had better sit up front (I mean, stand) because the human voice would only carry about 30 yards, even if the priest were screaming. Sheesh! People back then would kill (if it weren’t a sin) to have what we have, today. I am sure — as preferable to have open space like the Eastern Catholics and Orthodox do still in some Churches — Fr. Rutler (and any other Pastor) at least in New York would necessarily have to consult the local Fire Department if they want to seriously introduce ‘flexible seating’ in their Church. Fire Departments generally have seriously applied rules for ‘large meeting room spaces’ concerning seating arrangements. Rows of individual chairs, as are often found in European Catholic Churches, would not generally be permitted (except if linked together) — because of fire hazards. I wholeheartedly agree with the ideal of the flexibility within Church space, having experienced it on both sides of the Atlantic, but one does have to deal with the ‘fire laws’. Abusus usum non tollit, but as others have suggested circumspection and prudence are advised. This one is above my pay grade. The arguments were interesting, but I have found that sometimes such arguments are wrong or anachronistic. But I love the people that are so confident in their own immediate (emotional?) response to the subject that they can simply dismiss it on first glance (“Nah, I like pews…”). Wow. I am reminded of a medieval chapel in England where the musical acoustic is so good, the spoken word runs into problems: maybe this is partly ‘where chant came from’. What say you though about pews as an “invention”, which “…the later Protestant revolution that replaced adoration with edification”? It seems to me that this is precisely the point as to this invention as distinct from other inventions though history. I sit with the pews. If this change were implemented so many churches would be wreckovated even further by the V2 Church. 2) I think the good Father is spoiled by his parish assignments; my Parish isn’t nearly as plush as St Michael’s and we don’t have all these side alters, sure you see what he describes going on during Mass at Westminster Cathedral with people queuing for confessions, lighting candles etc during Mass, but the average Parish (certainly here in England) is nothing like as large or ornate. In medieval churches there were no pews. Those who felt the need to sit perched on the ledge along the side: hence the expression “The weakest go to the wall”. For Low Mass last Friday evening at the Lady Chapel on the veranda of the Paróquia de São Paulo Apóstolo in São Paulo, Brazil, we made do with stacking plastic chairs — unstacked for the occasion and re-stacked afterward — and knelt through the bulk of the Mass on the tile floor. No one was scandalized thereby. If anyone with bad knees couldn’t kneel and had to sit or stand instead, I doubt anyone noticed; I didn’t. Reverent assistance at Holy Mass (which is part of the warp and woof of the TLM) needs to become the focus. Perhaps we can thus become more attuned to the creature comforts that Our Lord enjoyed (not) during His Passion. Ever since I visited a pewless monastery, pews make me feel like a liturgical veal calf. Of course there are places to sit for the infirm. Or a couple of pews in the back is fine. But pews are not Catholic. I’m a big fan of the TLM. I love that our church has a new altar rail. I see no problem with the fiddlebacks. I have been to hundreds of churches throughout the US and the last time I didn’t go to communion row by row was 1980 – no big deal IMHO – it saves crawling over so many when you go don’t up “out of order”. I agree with the author’s assertions about the acoustics and would love to see the carpet go, but I beg you to keep the pews! Grandma is not at home to babysit and young parents need the order. Lost children can become abducted children. I too am short and would never see anything ever again. Please keep in mind that over 800,000 Americans now have knee replacement every year and many are told not to kneel. Demographic variables do change and making use of a workable historically “recent” solution is not the same as calling for womyn priests or communion for sinners. Birth control and obesity aside, the population is rapidly aging. The point about seating and fire code in ever larger suburban churches is also a valid issue. The majority of the congregation would hate pew removal for very valid reasons. I’m telling you – this is NOT a hill worth dying on. I must respectfully agree with Dr. Ed Peters here. In our very conservative parish, which is pretty much packed at every mass, there is not any thunderous noise from kneelers, People seem to have mastered the art of moving them when it is appropriate. Additionally, in the Diocese next to ours some scandal was caused in the past thirty years when the Bishop(God rest his soul) took kneelers out of parishes. Also, there is at least on parish in this city that stands after the consecration, until communion. With all these hijinks going on, our NO parish has resumed mass Ad Orientum, permanently now and Chant has “pride of place” at our masses, this is a great comfort to many. Under these circumstances, I think that the removal of pews would be a bridge too far. Many here have thrown out the idea, that only the elderly and infirm need pews, well as a late baby boomer, I am here to clue you, that from fifty on up most women I know need or have already obtained knee replacements. And we are at least 60 percent of those filling the pews. For way too many of us, NOT having pews would be a distraction from the mass and especially the homily. Lastly, I don’t think that Americans would even know how to organize themselves in a large empty space. We are accustomed to a larger amount of personal space in public, than many cultures. Our personal safety zones for non-intimate friends, creates an invisible space about 3 feet in diameter around us. Anyone standing inside this buffer zone makes us very uncomfortable. Note the space most parishioners create in their pews, between them and even “acquaintances”, let alone “strangers”. Mr. Chicken: I would suggest that many or most Masses would be improved if there was no use of electricity; certainly for sound amplification. Preachers gave lengthy sermons for century after century prior to the advent of microphones; one suspects the modern priest who finds it inconceivable to deliver a homily without one would choose his words with great care. And electronic amplification of music…… well, just think about it! Goodness me! Who knew that so many people care about pews?! Also, I would suggest a subtle definition check here: a pew is to my mind high backed and high sided – often a box. Invariably they do not have kneelers, but are provided with a cushion. That’s Anglican, over here. You can tell what type of Catholic Church it is if it has pews and not benches… A bench is much lower backed (usually with gaps in the back), and with kneelers provided. Chairs are infuriating. Always moving around when someone moves… etc. And rarely come with kneelers. I did a degree in medieval History. I love the middle ages. On the other hand: there are many things which Catholics now do that they didn’t do in the middle ages. Sermons, confessionals, large tabernacles, the catechism… ETC. I read the article, carefully. All of it. I agree with Father Rutler in principle (I don’t think he spends a great deal of time “worrying” about it. For pity’s sake, guys, it was only one article!) I’m on the fence with the issue of pews in practice. They appear to serve a good purpose, although I suspect the thundering of kneelers hitting the floor (by those “unenlightened” enough not to stand during the Canon) does not curry its favor. Were I to have sufficient property at my residence, I would certainly build a little chapel or private oratory, suitable for the celebration of Mass — ad orientem, obviously. (Whether or not Mass would actually be permitted there, other than a private celebration by a visiting priest, is another matter entirely.) I would devote my funds to the finest of appointments that I could acquire, but the very last thing on that list would be pews, if at all. Folding chairs with cushions underneath, to be pulled out when it was time to kneel, would be sufficient. Of course, none of this would have anything to do with the presence of an altar rail — no, it’s not actually a “communion rail,” as facilitating communion is not its primary purpose, strictly speaking — but a pair of prie-dieu would be sufficient. Ah, but a man can dream. The good Father’s reference to “Baroque” vestments would be more suitable, I should think, to describe those of the Renaissance (from the 14th to the 17th century), when the trend towards stiffening and shortening of the chasuble began, while remaining full in appearance. It was by the Baroque era (from the beginning of the 17th to the mid-18th century) that we see the trend taken to the extreme, and the so-called “fiddleback” style we see today. (As the era began in Rome, referring to them as “Roman” in style would not seem out of line.) As a boy growing up in the late 50s and early 60s, the only place I ever saw “fiddleback” vestments were in pictures. The so-called “neo-Gothic” style was dominant by the early and mid-20th century, at least in the Midwest. @Kent Wendler, how beautiful that He allows you a share of His suffering. The only places I go with chairs instead of pews are a) the Adoration chapel at my parish, which sometimes hosts Daily Mass, b) the local seminary or c) the minor seminary for last chance Mass. The Adoration chapel has the chairs that lock together and have kneelers behind; the front row has the same type of prie dieus that are by the side altars, the people sitting in the front of the second section either kneel in front of their chair or move to the step several feet in front of them as the first section is up two steps. The seminary has mostly pews but off to the sides are chairs, which is typically where I sit, among the seminarians who seem surprised when I kneel on the floor with them, since I’m old and overweight. At the minor seminary, among the kind children, who were sitting for consecration, I knelt. Once my knees hit the floor, so did theirs. I was hit by a car shortly before Lent began and my knees aren’t always interested in kneeling so it would be difficult for me not to have a pew or chair to sit on. There are a lot of things that I would love to bring back from the past but getting rid of pews is not one of them. The only time I had to climb over people in pews to go to communion was in the old days when only about 10-20% of mass attendees went to communion each Sunday. Many of us could not stand that long nor kneel without support. Live long suffer much for the salvation of souls! I, too, am a weekly TLM attendee. I’ll stick with pews. Kneeling through a low Mass is about all I can handle at 75 y.o. Let’s concentrate on the Mass, vestments and reverence. (I prefer Roman vestments, not a gothic fan). And the choir (schola). I, also, love the pipe organ played so that the fillings in my teeth get loose. I pity the poor folks who only have the modern OF Mass. No “amen” from me, either, and for most of the same reasons as those previously mentioned. I think this question deserves one of Fr. Z’s famous polls. I was at a conference in Luxembourg in the 1990’s and I saw those chairs, first-hand. Sadly, it also showed me the true dwindling of the Faith in Europe, because when I went to a weekday Mass at a local Church, I was the only one there! P. S. What kind of reeds do you use? There is a large clarinet acoustics community in France and Pierre Taillard is an engineer/clarinetist who has done some interesting work on reeds, but I think he is in Sweden? Vandoren 3.5 56 rue lepics! Of the French school, of course! I’m sorry you had that experience. The daily mass I go to always has 8 nuns, the priest, and anywhere from 5-15 regular attendees. It’s a lovely experience! Sunday mass is always PACKED. But I drive about 20 minutes to go there because it’s a special place. In my local parish (which, incidentally, has pews), about 50 steps from my front door, they get about 30 (it might fit 100 people total, of European stature), generously, at their 9:15 AM Sunday mass. The nearest “bigger” church gets about 20 at their daily (M, W, F). We need an awakening here. It’s not atheism, it’s apathy that has ruined traditionally Catholic Europe. We need to show them why they should care through our witness to the love, mercy, and charity of Christ. The dwindling priestly population can’t do it on their own. I was pleased to see Fr. Rutler’s apologetic against pews, and now, Fr. Z’s affirmation of same. The problem with pews is not just they’re Protestant in origin, but the entire liturgical praxis they’ve come to undergird, something very different from that which obtained in the Church until the early modern period. In that regard, someone up above made the point that “I think pews aren’t just for comfort. They also bring organization and focus to the congregation.” I think that’s the problem, actually. It represents a real sort of rupture with the praxis of the Early Church and the Middle Ages – and we hardly even realize it anymore. There was a reverent informality that long existed that was only eradicated in the last century or two of the Roman Rite (along with public singing of the Office, which seems to have become extinct in most parishes by the 20th century). I don’t blame those here who aren’t aware of that. But as we recover sacred tradition in the 21st century, I have some hopes that we will begin to recover the whole sweep of tradition, and not just that of, say, the 1950’s. Some have raised practical concerns, e.g., the difficulty of standing at length for the elderly, infirm, pregnant, or just bad legs and backs. Some others have noted the traditional fix for this, which was traditionally benches or stalls along the walls and/or back. But there’s no reason why we couldn’t compromise with chairs or even simple movable benches in place of the pews. The new chapel at Thomas Aquinas College ended up doing just this.